In 1768, Samuel Lewis, a miller from Franklin Corners in Basking Ridge, built a water-powered gristmill and a barn on the Passaic River on land he acquired from William Penn. His grandson, Richard Southard, bought the property in 1777 and found that its convenient location, along a major thoroughfare between New York and Philadelphia, was practical for commerce and placed him smack in the middle of the Revolutionary War. After passing through several hands in the ensuing years, famous restaurateur William Childs saw intriguing possibilities in the barn standing near the old mill and bought the entire property in 1929. He moved the barn to the other side of Route 202 the following year and began converting it to a hotel in Basking Ridge. Rather than gut the inside, however, Childs chose to preserve the unique spirit of the classic old structure through a painstaking restoration. In the 1970s, the current Olde Mill Inn hotel, venue and meeting center building was constructed on the property, and the Grain House remained as the restaurant for the Inn. Not a beam was touched in the barn’s solid frame, and the Grain House Restaurant at the Olde Mill Inn in Basking Ridge remains to this day as it was more than two centuries ago. 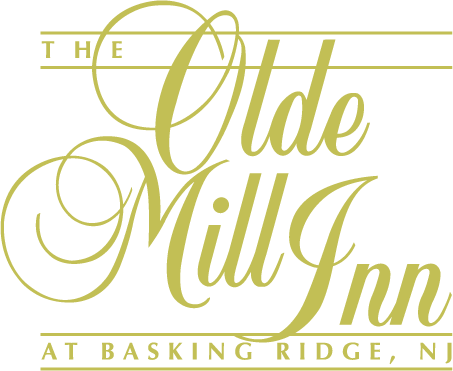 Today, the Bocina Group maintains the Olde Mill Inn’s long tradition of affordable elegance, and the Grain House Restaurant continues to be a local favorite. Discover a charming setting at one of the best Central NJ hotels today. See the article recently published by The Historical Society of the Somerset Hills to commemorate the 250th anniversary of the Grain House Restaurant at the Olde Mill Inn in 2018.